My blog piece today is inspired by Regina Brett, an American award-winning author and a Pulitzer Prize finalist whose piece in The Plain Dealer [a daily newspaper serving Cleveland Ohio] entitled “50 Life Lessons”, has taught me a whole lot about life and its perspectives. What she writes is so infectious that bloggers the world over have posted her sayings on their sites and yet others have shared them with their fans and friends on Facebook and Twitter. I’d like to share with you the ones that struck a deep chord within me the first time I encountered the list. Take this: “Your job won’t take care of you when you are sick. Your friends will. Stay in touch” This is a timely reminder to us all not to jump headlong into selling our soul to our work and careers at the expense of our health. How about, “Cry with someone. It’s more healing than crying alone.” Personally I have experienced much-needed release on the occasions when I confided fully in a good friend and have him journey with me through some of my life’s most difficult moments. “Don’t compare your life with others. You have no idea what their journey is all about.” This reminds me of a story of the man who complained he had no shoes until he ran into someone who had no legs. “Time heals almost everything. Give time time.” In this “instant” world which we live in, patience never features very strongly as one of our modern virtues. We seem to want everything immediately and at the press of a button. However, when it is a hurt or a pain which we need to resolve, an instant turnaround does not quite cut it and may even tempt one to take on undesirable quick fixes such as alcohol and drugs. No matter what, there are some things that only time will heal. Regina writes, “Envy is a waste of time. You already have all you need.” Coveting what others have will just place undue stress on us. Isn’t it better to live our lives within our own means? “If we all threw our problems in a pile and saw everyone else’s, we’d grab ours back.” Many of us think that we have the short end of the stick but this is at most times untrue. Let’s all learn to be more appreciative for what we have been blessed with. There are so many gems amidst “50 Life Lessons” that it’s worth Googling it and taking your time to ponder over each and every one of them. My parting words to you today are taken from her list as well: “No matter how you feel, get up, dress up, and show up.” Have a great day ahead! I caught up with an old friend last Christmas and what he is currently doing for a place he loves so much has inspired me to want to share this with all of you. I’ve known Patrick for the longest time, close to 35 years I would think! We met in my second career stint in an ad agency called Ted Bates. We clicked almost immediately ‘cos we had so many things in common – the top three being the craft of advertising, the love for drinking, and the sharing of corny jokes! After our career paths parted, Pat and I have been in touch on a sporadic on/off basis – he ventured into a dot.com start-up, he then started up a vegetarian eatery at Far East Plaza. After which he went on teach at a private educational organization before going back to dabble in a few online products. When I invited him over for dinner at my home recently, he lost no time in relating to me so excitedly what he had recently done for an intimate and neighbourly precinct he fondly calls home – Holland Village! Pat and his wife Cindy love everything about this quaint and iconic spot in Singapore – the old shops, the arts & craft outlets, the small eateries, the new entries! Much alike Serangoon Gardens, Katong, Seletar etc, Holland Village is one of a few nooks in Singapore that oozes a certain charm and eccentricity, and Patrick happens to be one of those folks who exudes a healthy dose of passion enough to want to tell the world about what it is that makes this rustic spot tick. He is a story-teller at heart – and his aim is for the bigger universe out there to be enthused about the novel and lesser-publicised snippets of this centrally-located eclectic lifestyle sanctuary. 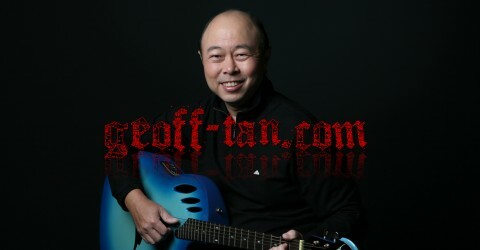 Patrick has launched a website entitled Holland V [http://www.holland-village-singapore.com/]. He built it up single-handedly from scratch. He spends whatever spare time he has interviewing folks who he fondly refers to as “the village people” and penning down in-depth pieces about them. He takes his own photos and uploads them. To me, he is Holland V’s greatest evangelist. You may ask – what is he getting out of this? The answer – nothing! Patrick did not start the website hoping to make money out of it. He truly believes that there is so much depth and potential in Holland V that it is worth putting in the effort to posture it well and in the right manner. Other than the big banks and chain restaurants that have taken up prime position in this locale over the last ten years or so, Holland V still has its fair share of interesting sole proprietor shops that survive due to the healthy support from a thriving expat community. I, myself, have lived in Holland Village for a large part of my life and am still very much attached to this spot. The recent opening up of the Circle Line has made it even more accessible to all. I am told that many tourists who come into Singapore for the very first time know about Holland V.
If you are one of those who have not quite ventured into this territory, go check out the website and I’m sure you’ll find more than a few reasons to pop by. And even if you are familiar with the place, the stories on the website will accord you another perspective of this unassuming enclave I call my “bohemian rhapsody”! Thank you Patrick for your devotion and dedication to this project! Singapore can definitely do with more folks like you! SWEATWORKING – THE NEW WAY TO CLOSE THE DEAL! The professional working world has found a new way of networking. This new phenomenon is all about keeping fit and still connecting with your customers all at the same time. It’s all about health-conscious professionals wanting a wholesome new way to bond with clients and colleagues without having to resort to booze and bites! The cocktail circuit now has a competitor. In a New York Times online piece entitled “For real sweat equity”, it is written “…schmoozing can take a physical toll. All those drinks, dinners and parties mean little time to hit the gym. So why not mix work with working out?” So make away for a new business buzz phrase – it’s called SWEATWORKING. If you haven’t figured it out, it means “networking while sweating it out”! Business deals are not exclusive to being closed during expensive power lunches or up-market cocktails anymore. Many new-age professionals and business folks think this as passé. Today, it’s all happening at the gym. The idea here is that instead of entertaining your clients across a long night of wining and dining which will more than likely take a toll on your health over time, you take them to a trendy gym in an upscale precinct to work out together. This trend, which started out in major U.S. cities such as New York & San Francisco, and which include a wide range of activities including cycling, kick-boxing, archery, spinning & yoga, has since made its way to the U.K., and has apparently become increasingly fashionable. “Earn while you burn” is the new corporate lingo which amplifies Sweatworking best, and the popularity of this business discipline has spurned a whole new breed of dealmakers whose preference is to perspire profusely while pouring over details of a contract! What has further added on to this is that even job interviews are now being conducted in the gym! Even before I read about Sweatworking, I’ve been introducing my clients to regular Kettlebell workouts from as early as nine months back. The benefits of this which I eventually came to a conclusion on are twofold. The first has to do with getting fit together and the breaking down of the barriers inherent in a professional salesperson-customer relationship. The second is that instead of having to continually arrange to catch up with my client over a meal or drinks which can happen only every so seldom, I get to interact with him once or twice a week! In this day and age where hitting the cocktail circuit has become somewhat a mundane run-of-the-mill activity of sorts, Sweatworking could well be the new EQ tool to build that intimate and connective bond between business associates. Welcome you to the world of “sweat equity”, my friends! Trust me, you’ll enjoy it! Before you start thinking that I have gone from writing Viewpoint pieces to reviewing movies, in this case Spielberg’s second instalment to the Transformers series entitled “Revenge of the fallen”, I have not! Instead, I’d like to share with you two tips that will contribute to positively transforming our lives. Bill Phillips in his newest best-seller entitled Transformation relates a story about a man named Azim whose 20-year old son was tragically murdered by a teenage gang member. In what can only be considered one of the most courageous acts of compassion, Azim did something that is deemed unfathomable by the majority of us – he forgave his son’s murderer. I thank God that most of us will not experience an event as extreme as such but if you care to dig deeper into the recesses of your heart, you will probably find that there are issues bottled up inside us, causing us undue stress. This could take the form of a grudge or pent-up bitterness that is harming you more than the person who had caused it. So Transformer Tip 1: Forgive! Even before I encountered this story, it has already been a practice of mine every morning to lie awake on my bed for an extra 4 to 5 minutes thanking God for the blessings he continues to graciously pour onto my life! I believe that this daily “feel good” ritual sets a positive foundational template to how the day in front of you will unfold. Dr Robert Emmons, PhD from the University of California, who was involved in a large research project on gratitude wrote, “A daily gratitude intervention produced higher levels of alertness, enthusiasm, determination, attentiveness, and energy.” I am a firm believer that thankfulness truly begets health and happiness! So Transformer Tip 2: Count your blessings! Here’s wishing you a great “transformational” week! If you Google “The joy of quiet”, you’ll probably get Pico Iyer’s opinion piece which appeared in The New York Times’ Sunday Review, served up to you! It struck a chord in me the first time I read it a few weeks back, but by the fact that it got me thinking several times about its intended message prompted me to want to share it with you. There is apparently a trend in the market right now where people who, not too long ago, were clamouring for the latest in high-tech, time-saving gadgets and devices notwithstanding just tablets and smart-phones, are also the same folks who are now trying to get away from them! On top of this, from the time we wake up till the time we hit the sack, we are unavoidably subjected to thousands of commercial messages, advertising videos, electronic information, and every other form of “noise”. There is a significant community out there who are “desperate to unplug”. It has been reported that the average American spends at least eight and a half hours a day in front of a screen. The average American teenager sends or receives 75 text messages a day. One third of teens send out more than 100 SMSs a day, the predominant group being teenage girls between the ages of 14 and 17. Iyer points out that researchers have found that the average office worker today enjoys no more than three minutes at a time at his or her desk without interruption. We are all living in an info-plagued world where, if we are not careful, we will surely be drowned in an avalanche of texts, moving pictures, brand inferences, flashing lights, sounds and all kinds of commercial spew! People are paying for Freedom software that enables them to temporarily disable their internet connections. In South Korea and China, internet rescue camps have been set up to save kids who cannot pull themselves away from the screen. Iyer noticed that those who part with $2,285 a night to stay in a cliff-top room at the Post Ranch Inn in Big Sur pay partly for the privilege of not having a TV in their rooms. You’ve heard of alcohol and drug rehabilitation centres. Well they’ve now extended their product range to help reform internet addicts! The French philosopher Blaise Pascal was so aptly quoted to say, “Distraction is the only thing that consoles us for our miseries, and yet it is itself the greatest of our miseries.” Let this piece serve as a check for all of us here in Singapore and relevantly so – what with internet speeds increasing exponentially; smart-phone penetration shooting through the roof with many of us carrying two hand-sets; tablets and more launching left, right and centre; brands and advertising being plastered on anything and everything. I read a chapter in a book recently about the three images all of us have. The author, John Bevere, goes on to elaborate on our projected image, our perceived image, and our actual image. By definition, our projected image is the way we desire others to see us; our perceived image is how others see us; and our actual image is who we really are. For many of us, our perceived image is of utmost importance. I’m not sure whether this is more acutely idiosyncratic to Singaporeans, but it does seem that our reputation is of greater importance than perhaps the true motives of our hearts. This leads to us projecting ourselves in the way we desire to be perceived. It could partially be attributed to our growing affluence. It could also be due to our cultural take on the issue of “saving face”! Much of our efforts tend to be focused on appearances, status, titles, accomplishments, accolades, possessions – so much so that we are led to put on a false front ever so often! If this be the case, then the ideal situation for the majority of us is to ensure that our projected image be equated to our perceived image. Of course, this is much easier said than done. For a start, what I project tends to be from a perspective of one person – me. Some people call this the “I” point of view. What others out there see in the way I project myself tends to come from a “we” perspective – a collective array of perceptions that could well be broad-based without necessarily any commonality or alignment. The variety of perceptions the world has of us stem from the fact that the folks whom we are in contact with come from all walks of life, engage us across different circumstances, have varied levels of relationships with us. Wouldn’t it be nice if we could all be who we really are and align our actual image with our projected one, as both of these are within our control. However, some of my friends tell me that by doing this, it makes them overly transparent and in some cases “vulnerable”. Some blame it on the stereotyping that prevails in a society like ours. In that because you are a Managing Director, you must project this image; and because you are a school teacher, you must project that image. And the list goes on! I can understand how difficult it can be to “be true to yourself” and project at all times our “actual” image. But is this too idealistic? Is it possible at all? Do we want to do it at the expense of what people will perceive of us? I’d like to think that, despite the scrutiny and judgement which the affluent and developed world constantly places upon us, there is valid reason for us to justify projecting the “actual” and accepting the consequences that come with the turf. In the past twelve months, I’ve had more encounters of people I know or friends of folks closest to me who have had their lives disrupted by ill health, medical conditions, sports injuries, and pure lack of fitness, than at any other point in my life. And, ironically, this comes at a point in time in history where life expectancy has been recorded to have risen substantially. According to worldlifeexpectancy.com, Singaporeans in 1960 had an average life expectancy of 63.7 years. 50 years down the road, this has risen to 82.1 years. This can be attributed to factors such improved medical care, better sanitation, lower infant mortality rate, sophisticated disease prevention measures etc. However, you may ask – “But why has life expectancy improved when we are all living amidst poorer diets, unhealthy food choices, elevated alcohol consumption, a plethora of new diseases etc. Someone once summarised this syndrome by saying, “In short, we’ve traded dying earlier from work related accidents, pneumonia, contagious diseases, for living longer but in a chronic state of health problems.” Doctors I’ve spoken with have admitted that they are better at prescribing drugs and treatments to alleviate symptoms in patients, than dishing out dietary and lifestyle recommendations to help prevent the onset of medical ailments. In correlation with the level of affluence in Singapore which has elevated significantly over the last ten years – we have more millionaires, Michelin restaurants, casinos, Formula 1, a higher population of exotic car ownership etc – the number of people suffering from gout, heart disease, high cholesterol, cancers, diabetes, slip discs, obesity, has also risen! On the topic of obesity, Singapore’s 6% rate five years ago is now well over 10% today! I was part of this statistic just over a year ago when I woke up one morning, stood on the scales, and shocked myself with my weight hitting an all-time high of 78kg! Determined to bring it down to a healthier level, I embarked on a low carbohydrate diet and through a disciplined approach I shaved off 10kg in ten months. Although I felt much lighter and could fit comfortably into my old clothes, my blood test showed elevated total cholesterol and LDL levels. This disappointing result made me even more determined to rectify the situation. I switched to a plant-based diet [see RAVE Diet] and in three months my total cholesterol fell from 242 to 187, and LDL from 157 to 102. My cholesterol/HDL ratio dropped from 3.5 to 2.8. The gym I workout at sent me a Christmas greeting recently that read “Merry Fitness & a Happy New Year”! This served as a timely reminder for me on the importance of being healthy and fit. Life is all about having an equitable balance of living well and being in the best shape possible. I would like to think that most heart surgeries are unnecessary and can be prevented if only we are a little more conscious about what we eat, and to find time to exercise. Here’s to a healthier 2012. May you live long, and may you live well.